You are here: Home / Faith / I’m back!!! And I am grateful for every amazing moment I have spent with the Lord and my family since January! Obedience is a wonderful thing, I stepped away because God indicated I should and though I was not sure for how long when I did step away, I am sure that now is the time to start sharing life again! We have some MAJOR changes going on in our personal lives and in my mom ministry life as well. My youngest is graduating from High School in May, my oldest is getting married in June and we bought a horse farm “back home” in Kentucky! And then there’s the whole big crazy “you gotta be kiddin me” phone call I got from LifeWay in February asking me if I would co-write a LifeWay Bible Study for moms! No daggum way – I have been “doing” LifeWay Bible Studies for two decades, and they asked me to write one! And write it I did! Only God, sistah friends, only God could make such a thing happen. And get this…I had to get it written in a month! Well, God showed up and I think it’s one of the most amazing series of words I have gotten out of my head, and heart, and on paper, ever. Truly God had a plan in having me pull away for His purposes! 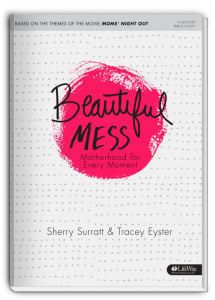 I hope you will go check out, Beautiful Mess Motherhood for Every Moment. I had the pleasure of co writing the book with Sherry Sherratt the Director of MOPS. We each did three chapters, which are made up of five days of study per week. So sounds like you need to gather some mom friends and plan to do a Bible Study together sometime this year! Right? Suffice it to say that God has been doing some crazy amazing things in expanding my territory since I have been silent on my personal blog here. I am blessed to share that He has spurred me on to speak into the hearts of moms like never before – and it’s no accident that it is as my youngest is graduating. It’s time for me to step back into my daily blog in order to be a good steward of all the ways He is at work! So friends…be prepared to peek into all the crazy days of graduation, wedding planning, moving, movie premier red carpet event happenings and some major halleluia’s over God’s grace and mercies my life! 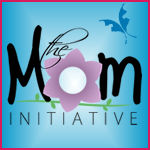 Beginning tomorrow, where I share how He showed up BIG TIME at MomLife Boot Camp this year!!! Come back and visit – and leave a few thoughts cause I do read em and they do bless me! Woohooo!! Some awesome things have been happening for ya! Congratulations all the way around!! Welcome back, Tracey! Wow, I’m so excited about this Bible study. I will have to check it out. I am so blessed by your ministry.